High-quality Leather & Suede Upholstery Cleaning DA7 Bexleyheath | RDA Cleaning & Maintenance Ltd.
You still wander which professional upholstery cleaning company in Bexleyheath DA7 to hire? RDA Cleaning & Maintenance Ltd. is certainly a great choice! With the help of our eco-friendly detergents, high-tech machines and experienced upholstery cleaners, we make sure to give you only the best home and office cleaning services today! If you want a team of highly qualified professionals to handle your contaminated upholstery please do not hesitate to give us a call at 020 3404 1646 and we will get straight on your case. Weekend and urgent appointments available. On the upholstery cleaning market we are mostly famous for the almost entirely positive feedback we receive for our services. In addition to this, RDA Cleaning & Maintenance Ltd. can brag about a thousand new satisfied customers per year. About 80% of them come to us due to a recommendation given by other happy clients. All our upholstery cleaners Bexleyheath DA7 follow a strict eco-friendly policy and we never apply products that can harm the environment, your living space, kids or pets. Our high quality upholstery cleaning services are available for both: business and domestic needs. Landlords and real estate agencies can also take benefits of our expert assistance! We work hard and we never leave a place with unfinished job. It is cheap to keep your upholstery fresh with us. Book Our Expert Upholstery Cleaning In Bexleyheath DA7 Now! 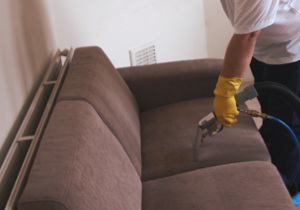 If you wish to use our upholstery cleaning services Bexleyheath DA7 then please give us a call at 020 3404 1646 or use our online booking forms and we will be straight on our way to help you you with your harsh cleaning tasks.